PROS: Lots of variety in color and pattern, small size, vegetation-heavy diet (including algae), community-friendly. CONS: Some species grow larger than others, needs meaty foods as well, underfed fish may eat live plants. BEST SUITED AS: A community algae-eater and bottom-feeder. 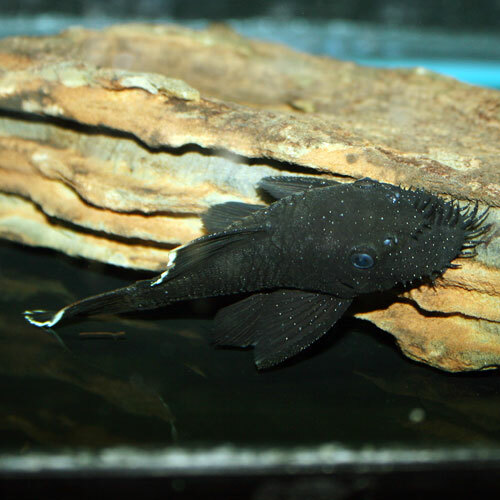 Plecos from the genus Ancistrus usually have “Bristlenose” or “Bushynose” somewhere in their common names, a nickname that comes from the whisker-like frills that develop on most adults. They are usually more prominent in adult males but some females may get them too in some species. Different species in this group have different requirements, but they are generally among the smallest plecos. While they eat some meatier foods as well, most appear to eat mostly vegetation. PROS: Small size, easy-going temperament, fairly wide-spread diet. CONS: Need driftwood for grazing, not primarily an algae-eater. BEST SUITED AS: A general clean-up bottom-feeder for community aquariums. 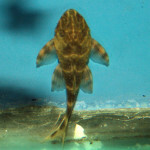 The Clown Pleco is a popular small pleco. As with other Panaque plecos, these fish are omnivores and feed about equally on plants matter and meatier foods. Panaque plecos are also unique in that they actually feed on driftwood as well; make sure you have driftwood décor in your tank for these fish to graze on. PROS: Eats algae, can be kept in groups, unique and unusual appearance. CONS: Needs high flow and pristine water, vulnerable to aggressive tankmates and poor water chemistry. BEST SUITED AS: A unique addition to a suitable community aquarium where it incidentally may help eat algae but isn’t the primary algae-eater. Hillstream Loaches have flattened guitar-shaped bodies and are often mistaken for plecos. They cling to rocks in the fast-moving mountain stream where they come from much like plecos cling to surfaces. Hillstream Loaches need well-oxygenated and well-filtered tanks and don’t do well with nippy tankmates or in tank with less-than-pristine water quality. They do eat some algae however, as well as other detritus and leftover sinking foods. PROS: Small size, safe for planted tanks, primarily algae-eaters. CONS: Can be sensitive to stress, can starve if they can’t find enough to eat. BEST SUITED AS: Algae-eating housekeepers in planted community aquariums. 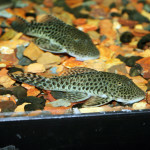 There are a few very similar species that are commonly grouped together as Otocinclus Catfish (“Oto Cats”) or “Dwarf Suckermouth Catfish”. Most are brownish-grey in color with a black stripe but some like the Zebra Oto (Otocinclus cocama) have a more ornate pattern. These fish stay under two inches in length and are great for eating algae off of plants without harming the plants. They can be a bit finicky and sensitive though so only keep in a stable, healthy aquarium. They are also best kept in groups so plan tankspace accordingly. PROS: Moderately small adult size, eats some algae, community temperament. CONS: Not a primary algae-eater, can be bulky for very small tanks. BEST SUITED AS: A general bottom-feeder for community tanks over about 30-45 gallons. Like the Clown Pleco, Rubbernose Plecos are some of the most common smaller plecos available. 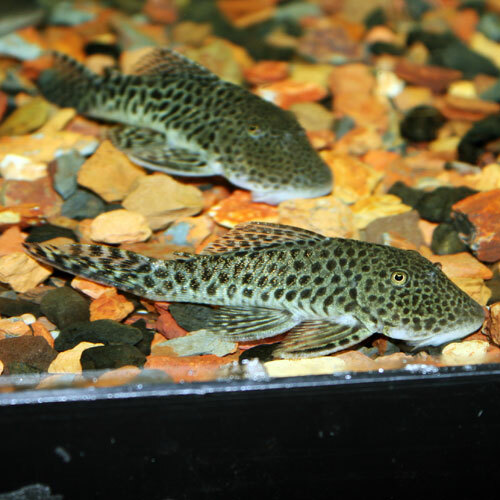 They also have a very familiar pleco-like appearance that many novice aquarists associate with algae control. They are not exclusive algae-eaters however; this is another omnivore that needs about equal parts meaty food and plant matter. These fish are pretty middle-of-the-road overall: moderate adult sizes, eats diet for about half their diet, neutral coloration, moderate temperament. PROS: Colorful shells, safe for plants, small size. CONS: Limited availability, may reproduce, may be vulnerable to predators. 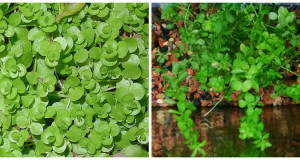 BEST SUITED AS: Algae-eating grazers for small planted aquariums. 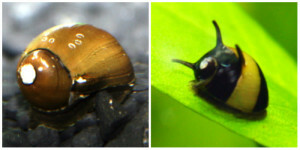 Nerite Snails are popular for saltwater aquariums but some species are found in freshwater as well. These snails are much smaller than some of the other less-suitable and more invasive freshwater snails like Apple Snails or Trapdoor Snails. They mainly eat smaller algaes like the ones that cause spots on glass but usually won’t harm plants. These snails also appear to bred less frequently in most aquariums than the more common Apple Snails. Make sure the ones you get are from freshwater; a saltwater Nerite will not survive being moved to a freshwater tank. PROS: Safe for plants, small size, can be kept in groups. CONS: Limited availability, vulnerable to predators, very small. BEST SUITED AS: Algae-eaters for planted nano tanks with peaceful or no other tankmates. 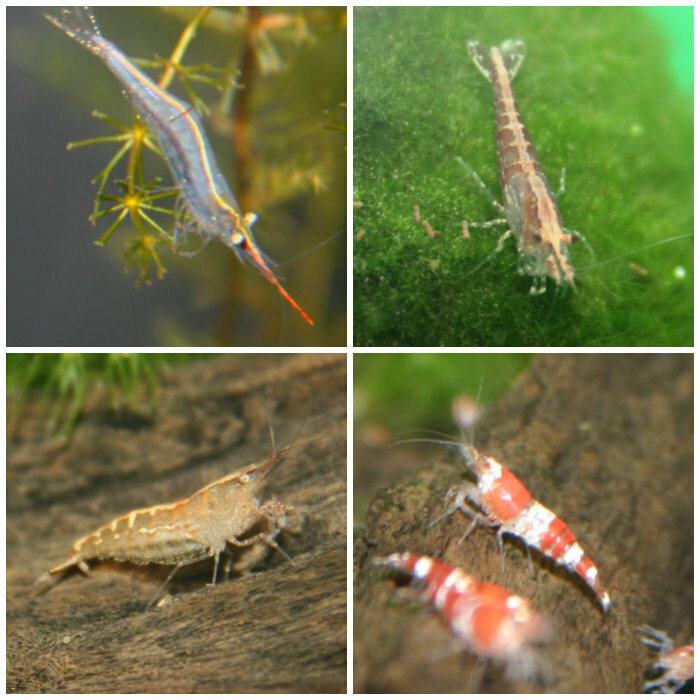 Small freshwater shrimp like the popular Cherry Shrimp and Amano Shrimp can be ideal grazers, especially for nano tanks (under 1-2 gallons). Some are clear, some are colored or have colored markings and they can be kept in groups. However, most of these shrimp are very small; you may not see them often and can’t be kept with anything remotely predatory. As always, the best algae-eater for your tank depends on its tankmates, the size of the tank, the water parameters and other such factors but hopefully this helps give you some alternatives to fish that may be too big or otherwise unsuitable to your needs. If you need more help in making your best choice or have a favorite of your own, feel free to comment below! I have an Ivy plant in a medium-small glass vase which keeps growing algae and I was wondering if there were any Algae eaters that could live in these conditions. Hello e, That would depend on what type of Ivy it is for starters…some can be toxic to aquatic animals. In general though, there are really no algae-eaters that do well in an unfiltered, unheated vase. You could try a snail like the freshwater Nerites in this blog or a few of the small nuisance snails common in freshwater planted aquariums (ask any friends with freshwater planted tanks or check with your local fish stores that have freshwater plants…they will likely have a few to spare for you). Nerite snails are probably the worst possible choice for control of algae in a vase, as they will quickly leave water that is not suitable to their liking, and obviously die given no other options. You can use Pond Snails, which are sometimes considered pest snails in display tanks, but are also embraced by many for their strict diet of algae, quick reproduction, and ability to survive pretty much any water conditions, including dirty stagnant water. Another option is to use an algae killing chemical, of which there are many for ponds and aquarium. Removing the plant if possible would allow for dips in hydrogen peroxide. If not, buy Flourish Excel and dose triple strength until algae discolors, which means its dead. This last option will likely stimulate growth of your ivy as well. Hello Steven, I would agree that Nerite Snails wouldn’t be appropriate for a bowl; this information here is mainly for filtered (and heated, when applicable) aquariums. For bowls like Betta bowls, I wouldn’t actually recommend any of these fish or inverts since they are all generally tropical and need consistent temperatures, water quality and filtration. For bowls, I would recommend regular maintenance and water changes over a cleanup animal that most bowls cant safely handle. I have a small 2.77 gallon tank with fake plants that house one fighting fish ( betta) and two guppies. What kind of algae eaters would be best for my tank? Hi Lori, I really wouldn’t recommend any additional algae-eaters for that tank given its size and what is already in it. Bettas usually don’t tolerate any other tankmates at all and behavior aside, those three fish alone would max out the occupancy of the tank when full grown. If you would really like to try out an additional cleaner beyond regular maintenance, I wouldn’t do anything more than a Nerite Snail or two. It is true that some Ramshorn Snails may be good algae eaters but be careful…some species are considered invasive and are illegal to buy, sell or transport. We do not sell them here and are under instruction by our local authorities in Pennsylvania to immediately dispose of any that are found on our plants. I am looking for an algae eater that will fit in a 10 gallon tank. I only need it for like 3 months so size doesn’t matter in that sense. Any suggestions? Hello SMK, I would recommend the algae eaters listed here in this blog. They are all species that would be appropriate for your size. I keep buying algie eaters at walmart and they keep dying..i have a 10 gal tank..have 3 zebra fish,a white shark, a gold colored fish and a newbie from walmart thts making it so far…the tank has rocks, plastic plant, and a mushroom type item where they can go in and out….the tank is organgie looking and getting black on the windows, i was told to leave the light on all day and turn off at night…nothing is working and the algie is getting worse..when i do fill up with tap water, i add per directions the stress coat liquid..wht am i doing wrong??? I ♡ my fish !! Hello MB, I would need more information about your tank to help you diagnose the problem. Just like when they take your pulse and blood pressure at the doctor’s office, getting the “vital signs” is important…in the case of aquariums, that comes to water testing. Have you tested your water, and what are the values for pH, Ammonia, Nitrite and Nitrate especially? Given the “black” that you are mentioning, I would test phosphate levels as well. Also, how long has the tank been set up and established? Do you have a heater in it and what temperature is it at? What type of filter do you have on the tank and what type of maintenance have you been doing (water changes, how much and how often, filter media changes, etc.)? Knowing what type of fish you have and how large they are would be helpful too to make sure that everything is compatible. It sounds like you may have a couple different issues going on but I can’t say for sure without more info. I would recommend getting that info together and giving us a call at 717-299-5691 so we can diagnose the issue better and get a gameplan together with you to get your tank back in shape. I have a small aquarium I bought from Walmart and it has two goldfish,rocks, artificial plants and a pump and filter. What would be the best algae eater for my tank? Hello Tammy, How “small” is this tank? Two goldfish should have at the very least a 20-30 gallon tank even when small to handle the waste they produce. If your tank is any smaller, I would not recommend adding anything else to it. If the tank is over that size, snails would be your best bet since other algae-eaters like those discussed here are tropical fish and would need warmer water than goldfish. Hello Mommyof2, The fish you already have in that tank are already a lot for a tank that small. I wouldn’t recommend adding anything else to the tank. A couple shrimp may be OK with what is already in there but as it is already fully stocked, the water quality may not be up to what the shrimp would need. I have a 5g hexagon tank w/ 3 small glo tetras and a small aquatic frog (very basic plastic decoration, good filter, heater & air bubble wand, and I am diligent about cleaning & treating it weekly). I had a small pleco (knowing eventually i need to upgrade the tank size) and a couple small tiger barbs as well. The tank kept developing the white hair fungus – I’m assuming because the pleco and frog weren’t eating the bottom feeder pellets and so they kept dissolving into the gravel and building up despite me vacuuming the rocks. Unfortunately i lost my pleco and 2 barbs last night and panicked that my other little guys would perish. I removed them, cleaned out my tank, set it back up and when it was treated and good temperature, placed my 3 tetras and frog back in today. They seem fine so far. I know I’m basically at capacity, so I prob would only add 1 or 2 more glo tetras at most for schooling purposes, but I still want to add 1 small algae eater. From what I’ve researched, a bristlenose pleco, oto catfish, loach or small snail would be best for my tank. Also I’m not completely opposed to adding a small live plant. Given everything I’ve mentioned, what would you recommend? Hello Kris, I wouldn’t recommend any more fish for that tank…it is already pretty crowded. A small snail like a freshwater Nerite Snail would be your safest choice. Hi there. I have a corner 55 gallon, and I currently have 2 gold skirt tetras, 2 male blonde delta guppies, and a red wag platy. This is my first tank since I had this tank set up for my goldfish, Prometheus, and Koi, Amadeus, who have since been moved to a pond. I don’t have much experience with the tropical fish, but these guys seem to be doing okay after 4 months. I do not have live plants yet, as I’ve never had more than the one Prometheus ate when she was only a year old, that was 7-8 years ago. Lol. I am looking for a good cleaner for my tank, as it gets quite a bit of sun, and therefore algae. My house is very open with lots of windows. It was pretty difficult finding a place to even have the tank where it wasn’t against a window. I hope to add maybe a couple more guppies, and another platy to my tank in addition to a pleco or similar helper. I don’t want to over stock it, but it seems like a lot of tank for 5 small fish. 🙂 what would be a good, fairly hardy option for me? Hi Kayla, Any of the algae eaters in this blog would still be suitable choices for your tank. I would stay with a smaller algae eater like these plecos but you could get more than one of them or get a pleco like the Ancistrus plecos and some snails like the freshwater Nerites. A small school of the Otocinclus would do well also. You have pretty many options with your size, especially since it isn’t crowded. I have a 10 gallon with 2 goldfish in it. I can’t seem to keep the algea under control. The tank gets almost no direct sunlight. Anyone have any suggestions? Hello Todd, A 10-gallon tank is very small – too small, really – for goldfish and keeping that tank clean will be nearly impossible. Fancy goldfish should have at least a very heavily-filtered 30-gallon tank and common goldfish will need much larger. I can’t recommend putting anything else in that tank and would recommend upgrading the tank size. Goldfish are coldwater fish as well and the recommendations in this blog entry are tropical (warm water). You likely have a water quality issues that is feeding the algae and it won’t go away until that is addressed. Have you tested the water quality, and what are the values for pH, Ammonia, Nitrite, Nitrate and Phosphate to start with? Is the water itself green or is the algae on the surfaces inside the tank? Knowing more about the tank will help us address the issue. Just saw the reply, thank you! I am going to pass on snails, as the hood for my tank was lost in the move while it was empty (hello adding water every other day!) I should also mention I don’t have it heated. Though with so much sun, it is usually around 72 during the day, and 68/70 at night. In the winter it sits around 68 day and night. The algae has also been insane with the longer days, I clean the glass and ornaments about 3x a week, so I need to get to the store and get some little helpers! Thanks again! Hi Kayla, Happy to help. I would recommend heating that tank though. The fish that you have in it are tropical and will do much better in a warmer tank with consistent temperatures. They should have water temperatures that are consistently between about 76-82 degrees. Cooler temps may actually be contributing to your algae issues since some nuisance “algae” thrives in cooler temps, and the cooler temps leave your fish vulnerable to diseases and parasites like the dreaded Ich. Good luck! Kayla – Keep in mind that waste doesn’t evaporate so adding water for evaporation shouldn’t replace regular water changes! If you need help finding a lid, feel free to give us a call at 1-888-THAT-PET and we might be able to order one for you if we don’t have anything in stock. Canopies sell out pretty quickly when we are able to get them in but we are usually able to get most standard sizes. A 55-gallon corner tank is a bit of an oddball but we may have something that would work for you. I do still clean the gravel, which includes a water change, but I am also used to very frequent water changes, having had goldfish and Koi for all of my previous tanks, and still having them in a pond, and in our horses water trough. I will check that out, I have been looking for about a year for one, and haven’t been able to find one. Thanks again for all your help! Hi! I am going to get a 75 gallon tank with 2 or 3 bluegills and a rubbernose pleco, also having different varieties of snails and a small school of crappie minnows. Would two flower/wood shrimp and two ghost/glass shrimp be okay with the bluegills/sunnies? I will have live plants, driftwood and a fake natural looking fish hideout in the tank. Will also have a HOB filter with a sponge. Thanks! Hi Emma, Your Bluegills would likely eat any shrimp you added to that tank. Depending on their size, they may eventually eat those minnows as well. I wouldn’t recommend adding anything else to that tank and especially not small crustaceans. If it helps you, we do have another blog entry on Sunfish Care – Keeping Pumpkinseeds, Bluegills and Their Relatives. I was thinking of having the sunfish as babies and once they get too long releasing them back to the pond where I would get them from if they wouldn’t get along with the shrimp as adults. I would do that each time they grew too large. Would that work? Or should I just drop the shrimp idea? I have read your sunfish page and skimmed through it a few times, but I’ll read it again. I love doing research on animals! 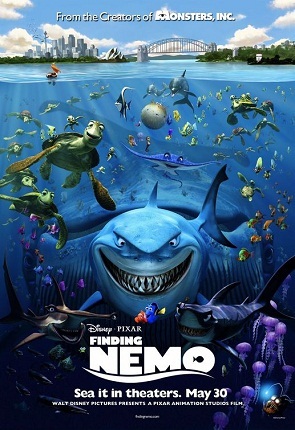 Hi Emma, I still would not attempt shrimp with the Sunfish since Sunfish naturally eat crustaceans like shrimp. Taking any fish out of their natural environment, keeping them in an aquarium and re-releasing them is always a risk and is against the law in some areas. I would recommend contacting your local fish and game commission to make sure that what you would like to do doesn’t violate any regulations in your area. Thanks! I’ll look into it. You have helped me a lot and I’m very grateful. You’re welcome, Emma. Good luck! Hi! I have a 36 gal tank with a large veiltail goldfish,a large what I think is a marbled angelfish, and a new bala shark fish. I have had the tank for about 3 months, it is an upgrade from a 10 gal that I had about for about a year. The angelfish was the size of a silver dollar when I got it and now it is as big as my palm. My problem is my plecos..I’ve had I think 3 die recently. I don’t understand why?! All my other fish appear to be healthy. I don’t know if I want to keep trying with them. Is there anything that I can get to help keep the tank clean that is maybe more hardy and can live with the types of fish that I have? Thank you in advance! Hi Carly, That is a difficult question to answer. Goldfish are a coldwater fish that are not compatible with warmwater tropical fish like Angelfish and plecos. They also produce a lot of waste that can affect water quality and a 36-gallon tank with a large goldfish is on the small side. It is also on the small side for an adult angelfish since they are sensitive to water quality and can get very aggressive and territorial. Bala Sharks get very large and a 36-gallon tank is certainly going to be much too small for that fish. 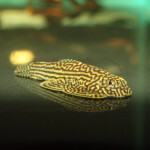 Without knowing more about your water quality – pH, Ammonia, Nitrite, Nitrate, and temperature to start with – I can’t say why the plecos aren’t doing well in the tank but that may certainly be an issue. I wouldn’t recommend adding anything else to the tank with the fish you already have but if you would like to send me some more information about the tank like the water parameters I’ve mentioned, how often you do water changes, how often and what types of food you feed, I’d be happy to help you figure out the best path from here. 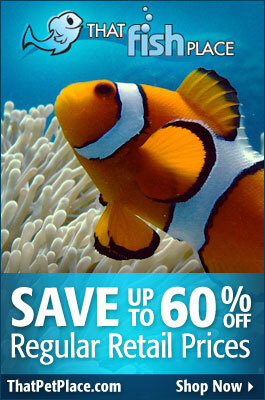 You can also give our Fish Room staff a call at 717-299-5691 to discuss your tank. I have a micro tank with 2 male fancy guppies. I have notice the water is already getting murky and the fish have only been in it a day or to. i was wondering if there is a good “cleaner” fish to accompany these fresh water guppies, something that eats algae and balances the PH of the habitat. Hello Jessica, No fish is going to balance pH. In fact, if the tank is too small, adding more animals to it is going to just make the water quality worse. How small is this “micro tank” and what kind of filtration do you have on it? Any new tank will also go through a cycling process in which some cloudy conditions and poor water quality spikes are normal, especially if the tank is too small, underfiltered or overcrowded. You can read more about this on the Explaining the Nitrogen Cycle article on our website. If your tank is very new, it is also not likely algae that you are seeing so it is likely far too early to be adding an algae eater. More information about the tank – size, filtration, current levels of Ammonia, Nitrite, Nitrate and pH to start with – would be helpful to recommend what would be best for your tank. its aprox 2 gallons and is a basic children’s set up. no filtration as the set was a gift to my young niece, it is quite small and uncovered. it is for all intensive purposes a fish bowl not really a tank. im not sure if a filter would fit properly in it. Hi Jessica, Guppies are tropical fish that need consistently warm temperatures and pristine water conditions to do well. Without a filter and heater, it is going to be very difficult to keep them healthy in that tank for long. That type of tank is much more suited to a fish like a betta that doesn’t need a filter and can handle the unfiltered conditions (but it will still need to be somewhere where the temperature remains fairly consistent without a heater to maintain it). I can’t recommend adding anything else to that tank. I have a 44 gallon tank, which seems pretty maxed with the fish I have. Although the tank feels pretty empty, I am sure it will fill up as my beautiful fish start growing big. I did not initially want the tetras but a friend said that it would be fine only to find out that my tank is already at full capacity. My water conditions are perfect, with weekly water changes and water tests every 3 days. I installed external filter Fluval 306 to give me better filtration to help with slightly more fish than I should have. My question is, do I need algae eaters? and if so, which one is best suited? Plecos grow too big and poop a lot, nerite snails lay too many eggs that i dont think I will be able to clean, and any other loaches or siamese fish grow too big….. Would appreciate some help. Hello M Ahsan, Your tank is pretty full with those angelfish and gouramis that are going to grow large and fairly territorial (especially the angelfish). If you would like algae-eaters, I would recommend those discussed in this blog. 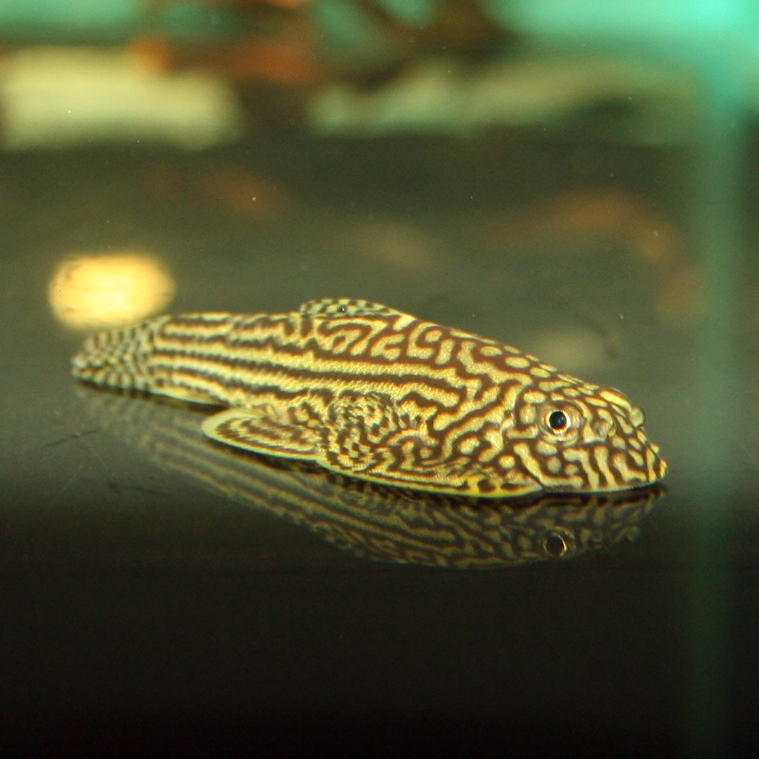 Not all plecos grow large – those examples in this blog stay= smaller, for example – and if you are doing regular maintenance and not overfeeding the tank, the waste from them shouldn’t be extreme. Nerite Snails also don’t reproduce rapidly in aquariums. Some loaches stay smaller as well and Otocinclus catfish like the one pictured here would be sutiable as well. Hello Joshua, I can’t recommend adding anything else to that tank…it is already pretty crowded. Feeder goldfish like those I believe you are referring to are the same fish as pond goldfish that grow up to a foot or more in length and produce a lot of waste. Even a single fancy goldfish should have at the very least a 30-40 gallon aquarium; common goldfish like yours should be in a pond or at least a very well-filtered aquarium of 90 gallons or more. You can read more about their care in our blog How To Care For Carnival Fish. I’m not sure which pleco or loach you are referring to but many plecos and loaches would also grow too large for a tank that small and mixing tropical fish like those with coldwater fish like goldfish can be risky. Thank you Eileen, I have looked at otto’s and they seem like the best option but I fear that the angels and ruby might see them as food. My angel and ruby r fairly small (about 4-5cm) but Gouramis are slightly bigger, i will see if i can get fully grown ottos that might be big enough not to get eaten. I will have to re-home some fish I guess, but i have time for now as all fish are fairly small. Hi Eileen- I have a 20 gallon, fresh water aquarium with artificial plants. My livestock includes 2 Angels (~3.5″ each), 6 red Tetras (~1″ each), and 4 Neon Tetras. I’d like to introduce a pleco, but I want something small. I’ve had big plecos before and they are too messy. Any suggestions for a small pleco or 2? Hello Peter, I would recommend the plecos discussed in this article. Keep in mind, however, that the angelfish will get too large for that tank and may become more aggressive and territorial as they grow so they may go after the pleco and tetras. I have a 5 gallon tank with a betta. I am looking for an algae eater tank mate. My betta is approximately 2 to 2.5 inches long nose to tail. What type of eater could I pair with my betta? Hello Rebecca, Bettas don’t get along very well with most tankmates. I would recommend sticking with snails like the Nerites discussed here. Greets! Was hoping you could give me your thoughts on my tank set-up and offer any suggestions for clean-up. I have a 10 gallon filtered tank, cycled (0 ammonia, 0 nitrite, 20 nitrate) at a consistent 78F with silk plants. 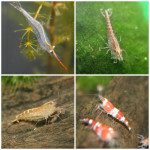 Stock is 4 adult & 3 juvenile Harlequin Rasboras and 2 Red Cherry Shrimp. I do 30% water changes every 1-2 weeks. I do have some algae growth, and the shrimp are relatively new to the tank. I was wondering if you would suggest any additional algae eaters or if I should just add more shrimp. I was hoping to add 3 more rasboras and then leave them until I can do an upgrade to a larger aquarium in the future (likely only a 20 gallon and have the 10 gallon for shrimp breeding). At this point, the rasboras seem to leave the shrimp alone and the shrimp are comfortable grazing in the open. Thanks for any feedback/suggestions you might have! Hello Bonita, The algae-eaters discussed in this blog would be appropriate for that size tank. With what you already have in there, I would recommend sticking with shrimp or snails like the Nerite Snails we discussed here. Other factors like light duraction and the water quality will also affect the algae growth. For that small of a tank, I would also recommend cutting back a bit on the water changed. 30% is a lot to change at one time, especially for a tank that small and that often. I would recommend sticking with no more than 10-15% weekly or 15-20% biweekly. Hi Eileen – thanks for the reply! I find it really difficult to vacuum the gravel without sucking that much water out (I surface skim 1/2 and do a deeper vacuum on the other 1/2 at a time). I could try to crimp control the flow, but I’ve already got so many things I need to pay attention to, such as making sure water is draining into the bucket and that I’m not sucking up any fish or shrimp! I will try, however. My lights are on a timer that’s currently set to 12 hours on, 12 hours off – I was thinking of changing that to 10 hours on, 14 hours off. The algae isn’t terrible, but I think there’s enough to sustain some more shrimp as I’m really not liking the idea of snails. Any suggestions on vacuuming without stressing out or sucking up the shrimp (the rasboras usually just swim out of the way)? And do you think my set-up can sustain 3 more rasboras and 3 more rcs? Thanks again! Hi Bonita, What is the diameter and length of the gravel siphon you are using? Different lengths and diameters will control the flow differently so changing up your gravel siphon may help. You could also try a Battery Vac like this one that vaccuums the water through a filter bag without removing it from the tank for some spot-cleaning. Twelve hours is definitely a long period for your lights to be on. I would recommend cutting that down to about 8-10 hours. The lights in the tank don’t have to match the sun outside so, for example, if you are only home at night to enjoy your tank, you could have the tank dark during the day. Hey I have a 25 litre tank with female guppies and a Siamese flying fox fish and am looking for a cleaner. I have another 25 litre without a Siamese flying fox and has male guppies and am looking for a cleaner as well, any suggestions. Also might be adding a couple of shrimp. And a fish that cleans glass if there is any. Great article. One thing you didn’t necessarily cover is what types of algae the fish eat. I guess, can we assume the will eat most types or will they stick to mostly green? I know brown can be an issue for some people and don’t know which fish would be the best to treat that, if any. Hi Sean, You are absolutely correct that different animals will eat different algaes. The algae-eaters here are just in general terms. For specific algaes and similar issues like cyanobacteria or diatom blooms, it is always a good first step to identify the cause of the bloom to treat that. Algae and other issues commonly mistaken as algae are symptoms of another issue and that issue has to be address to control the algae. Hi Katie, For tanks that small (25 litres would be a little over six and a half gallons), I would still with shrimp and snails like those discussed here. 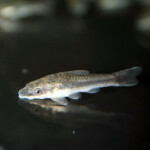 The True Siamese Algae Eater grows to a little over 6 inches in length and should really be in a tank that is at least 55 gallon (around 200 litres) or larger. Hello Bryan, A 10-gallon tank is unfortunately far too small for even one goldfish due to the amount of waste they produce and its effect on water quality. A pleco wouldn’t clear up a bacterial bloom in any tank and adding any more fish to this aquarium will only make matters worse. I would recommend upgrading your tank or switching the type of fish you have. Small community fish like tetras, danios, platies, or gupppies would be a much more suitable choice for a tank that small. Common goldfish grow to well over a foot in length and are better suited for an outdoor pond. You can find more information on goldfish care and requirements in our articles The Best Aquarium Filter For Goldfish, How To Care For Carnival Fish and our Goldfish Species Profile. For more information on the bacterial bloom you mentioned, you can read our article Explaining the Nitrogen Cycle. Hi. I have a small decorative 2.5 gallon tank with a good filter (for 5 gallon side tank). I have 2 plastic plants. I had a beta in it for 2 years that Just died. Hello Pam, The only algae eaters that would really be suitable for a tank that small would be a snail like the Nerites discussed here. A shrimp or two may work as well but the tetra may pick at them. Hello Anonymous, For a tank that small, I would recommend a snail rather than a pleco. i have a 13 gallon tank with 4 platies and 2 bronze corys, i have a couple of hardy aquatic plants. I am looking for a pleco or algae eaters for the tank. What would be best? Hello Jess, I would recommend a few Nerite Snails or Otocinclus Catfish. Hi I have just set up a 17 gallon tank which is going to be cold water tank and i am looking at stocking it with some guppies can you recommend and algae eaters that stay small. Hello Peter, This blog recommends a number of algae-eaters that stay small and for smaller aquariums. Guppies and most aquariums snails and algae-eaters are tropical however and wouldn’t be suitable for a coldwater aquarium. Although otos are cute and hard working little algae eaters, they are very sensitive to water conditions and stress of any kind. It is also difficult to find very healthy ones because of the way they are caught and shipped. A fish with a compromised immune system will easily pick up fish diseases. Until fish breeders in the US can breed them here, I will go with corys. I have had 4 ottos and they all died, one in two weeks, one in three weeks, one in five weeks, and 1 in 6 weeks. All my other fish are doing well. Hi, I have a tropical 30 gallon long tank with plenty of live plants and wood for the fish to feel at home. Just recently I have added my first fish, which are 3 zebra danio, 3 Harlequin Rasbora, two peacock goby, and two cherry Barb’s. I’ve noticed some spots of algae starting to grow on the leaves of two or three plants. What would you suggest would take care of this? Hello Maron2020, The algae-eaters discussed in this blog would be suitable for that type of aquarium. Hello S. West, Otos can certainly be sensitive to transport and acclimation. It is best to acclimate them slowly and use a quarantine system for any new arrivals if possible, but they usually do well once acclimated if they are coming from a good source. Hello! I have a 5gal tank with good filter and heater, plastic plants, and a small cave rock. Currently occupied by a creamsicle molly and a sunburst platy. We had 1 nerite snail and then had to add my mystery snail from my separate beta tank as my fish was picking on it! The 2 snails have started a weird habit of flipping themselves onto their backs, sometimes holding a pebble. I right them but they purposely flip back (I’ve watched them do it)! I have tested the water quality and all parameters are within limits and I do regular water changes. Any suggestions for my little feeders? Also; my son wants a pleco, but I think it’s too much for our tank with 2 fish already. What do you think? Hi Deanna, I haven’t heard of a snail intentionally flipping itself over. I would make sure that there isn’t too much current in the tank that is pushing it over or that it isn’t getting air bubbles trapped in the shell. I wouldn’t recommend a pleco in a tank that small with the snails and fish you already have in it. Hello Nolan, That’s what this blog is all about. All of the algae-eaters and plecos that were recommended here would be suitable for a small freshwater aquarium. Hi Lil, A fancy goldfish (Fantail, Ryukin, Oranda, etc) should have at least 30-45 gallons for one fish and a common Comet Goldfish (often sold as “feeder fish” or “carnival goldfish” when very small) grow very large and are best in a pond or at least 100 gallons. Any goldfish tank should be very well filtered, usually double the “recommended” tank size on most filters. For more information on basic goldfish care, I’d recommend starting with our articles How To Care For Carnival Fish and The Best Aquarium Filters for Goldfish as well as our Goldfish Species Profile and Goldfish Growth Chart. Generally speaking, goldfish are best kept alone with the amount of waste they produce. Most algae-eaters are also tropical while goldfish are coldwater fish. If you want to try an algae-eater, it would really depend on the size of the tank you decide to go with. If you are looking for a small tank with just one fish and lower maintenance, I would recommend going with a Betta rather than a goldfish. They are much easier to care for, less expensive and lower maintenance. Hi i have a fluval spec 5gallon tank with two platys i would like some sort of cleaner fish as small as possible that will get along, can you help? Hi Paulh, Most of the bottom-dwelling fish that would be small enough are schooling and should be kept in groups, which would overcrowd your tank. You could try one of the Otocinclus Catfish that are discussed here, but a Nerite Snail or some small shrimp might be a better choice for that tank. I know this is a very old post, but I am wondering if a clown Pleco would be good in my tank? I have a 10 gallon tank with a hatchling turtle (1 inch), 2 ghost shrimp, 2 rosy red minnows, and one 2 inch clown Pleco ( Ha that’s a lot of 2s) I just got it today, because I wanted something small to clean all the algae forming in the tank because of the heat lamp, but I was not informed that they needed driftwood. If I add driftwood would the clown still eat algae? Hi Yingmei, What kind of turtle do you have? Most turtles – including and especially the most common Red-eared Slider – will grow far too large for a 10-gallon tank and would need a new tank fairly soon. They would also need somewhere to come out of the water so the tank should have basking spots and shouldn’t be completely filled. You can check out That Reptile Blog for more information on turtle care if you need some help there. We recommend at least 20-gallons for a Clown Pleco since they do grow to 4 inches in length. They should have driftwood to graze on. Clown Plecos aren’t great algae-eaters as we discussed here; their diet should have equal parts meaty foods and plant matter with some wood. Yes he is a red ear slider, and he has a basking dock as well. I plan on moving him into my 40 gallon breeder once he hits 2 inches and then my pond. So the pleco would need driftwood? Is mopani ok? Yingmei – Yes, the pleco does need driftwood. Mopani is fine.